Photobiomodulation Therapy (laser therapy) is a surgery free, drug free, noninvasive treatment that helps to reduce pain and inflammation, as well as increase the speed of healing. It can be successful in treating acute conditions, such as wounds, allergies, sprains, and strains, as wells as chronic conditions, such as arthritis, degenerative joint disease, and geriatric care. Relief and/or improvement are often noticed within hours depending on the condition being treated and your pet’s individual response. 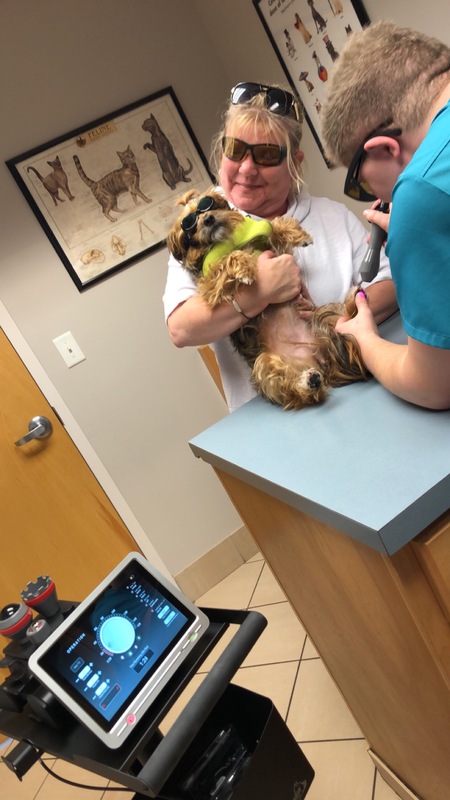 The length and frequency of treatments can vary from a single treatment to multiple treatments depending on your pet’s medical condition. 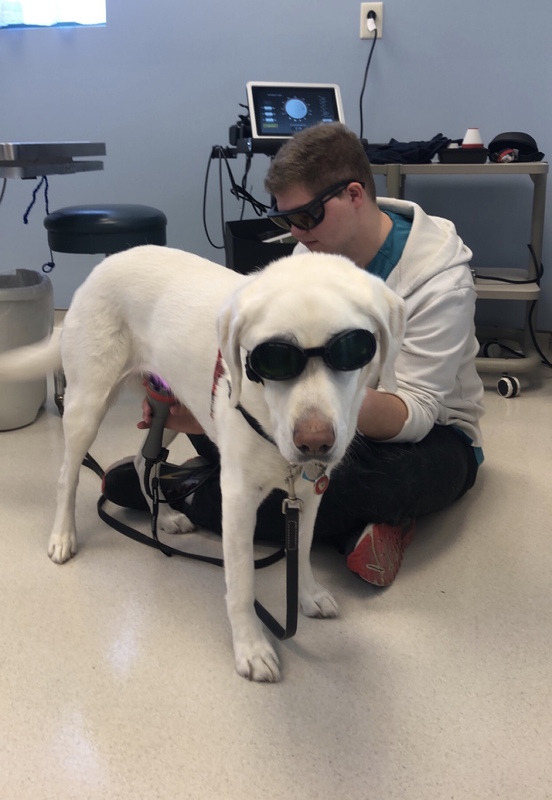 Whether performed alone or in conjunction with additional therapies, photobiomodulation can make a great impact on a pet’s quality of life and offers an effective treatment for pain management.